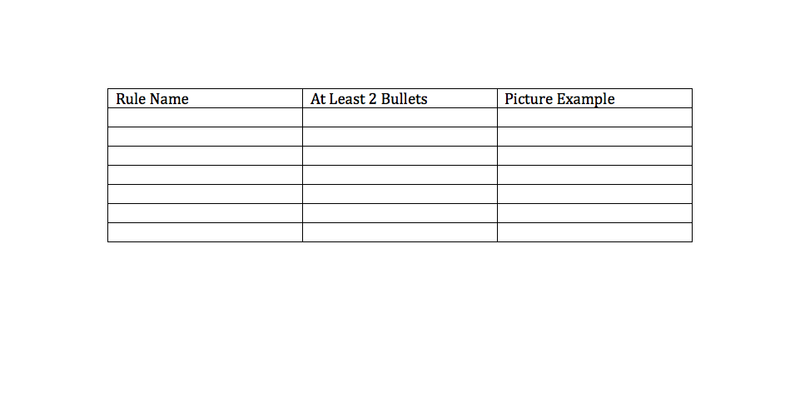 Include at least 2 bullet points for each topic as well as a picture example for each. Typical page setup will be a table of 3 wide by 10 high (see below). Once complete; print out and keep for reference when out shooting.